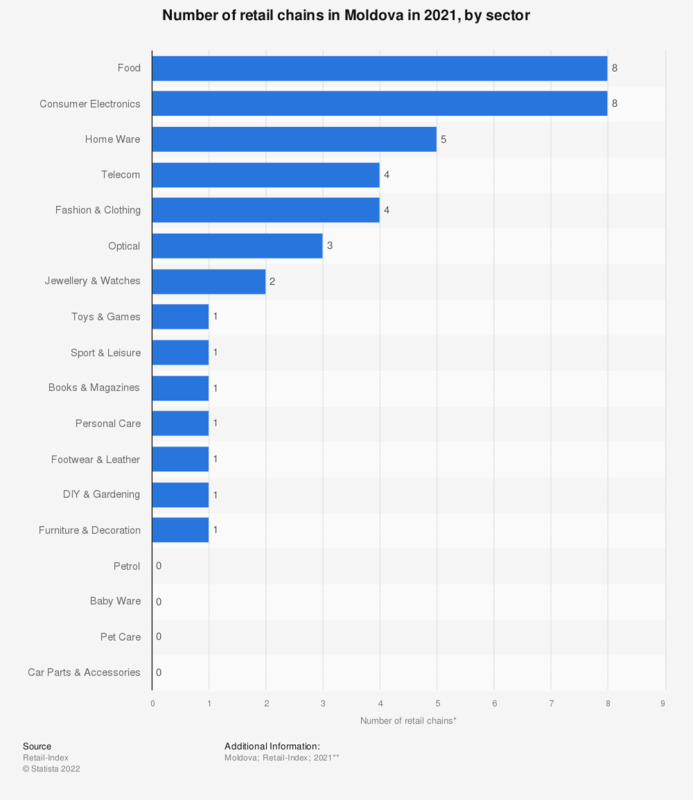 This statistic shows the number of retail chains by sector in Moldova in the year 2018. Consumer electronics was the leading sector, with eight chains out of the total of 27, followed by food, with seven retail chains. Fashion and clothing ranked in third place, standing at six chains.